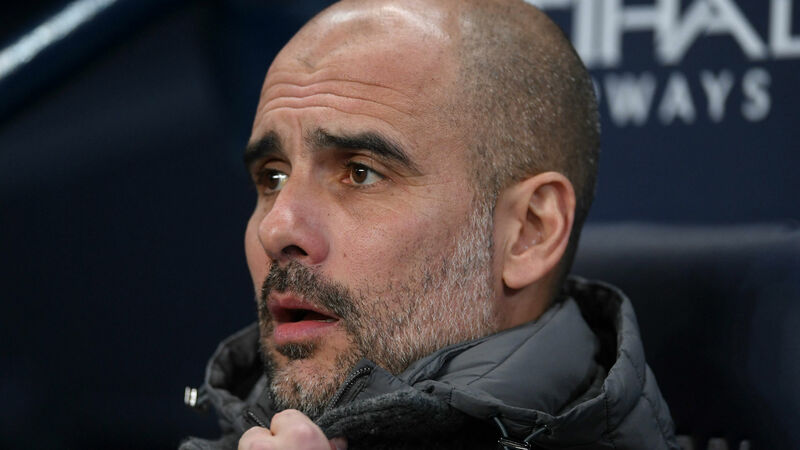 Pep Guardiola insists that every member of Manchester City's squad will play some part in the closing weeks of what could be an historic season. City dropped to second in the Premier League on Sunday after Liverpool's win over Fulham, but they do have a game in hand over Jurgen Klopp's side heading into the international break. "Always we are demanding, training hard to play as good as possible, again and again," he told a media conference. Pack your bags blues, we're off back to Wembley! "It's the only way because they are going to play – everybody. If we need 10 or 15 minutes it must be the best possible. We are here so far because of everybody, not just 11, 12 or 13 players. "Everybody makes their own contribution and it has been massive. "It's crazy, the fixtures in April. That's why you need everybody. "The players that played good, incredible – they have to sustain that level. The players who need to increase, they have to improve because we need it. Everybody is going to play. "Especially John, Kevin and Benjamin. All the players come back because we need everybody." Riyad Mahrez was substituted with City 2-0 down to Swansea City in their FA Cup quarter-final on Saturday and could only watch on from the sidelines as Guardiola's side staged a dramatic late comeback to win 3-2. Asked if the Algerian is struggling for form, Guardiola responded: "I have the feeling – I know we judge because we were losing – that he played good. He is playing good. "You know I am not a guy to point the finger at someone when we drop or lose a point. Never."